Superstar's Mappillai film was produced by Megastar Chirenjeevi and directed by Superstar's favourite Director, Rajasekar. It was a remake of Chiru's Telugu film "Athaku Yemudu Ammaiku Mogudu". Mappillai was scheduled to be released on 28 October 1989 (Deepavali) and the fans were waiting eagerly for the audio release from a month ago; but it was only released a week before the film’s release and it didn't have an impact with the fans and general public. However, Kamal's Vetri Vizha audio was released from 3 months before the movie’s release and it was a super hit. KR Movies distributed Mappillai for the city areas. Mappillai was released at 5 Chennai theaters and they are Alankar, Maharani, Annai Abirami, Kamala and Sri Brinda (All Regular Shows). The movie was sold out for one week in advance booking. The crowds that thronged the theatres beat the seasonal flow of showers in some of the towns at the time of release. Mappillai managed 865 houseful shows in Chennai city and created a new record as of that time. Maapillai managed to run successfully even after the next release of Thalaivar's “ Panakaran” (1990 Pongal) with shows getting filled in advance even after 80th day of release. In the first month of Mappillai release, Junior Vikatan carried a report on the “black tickets” sales in theatres, and the title of the article was "Break dance Aadum Deivam". In that article, they mentioned that Rajini films do great business, especially through black ticket sales. Even the Rickshaw men made quick bucks, whenever a Rajini films were released. 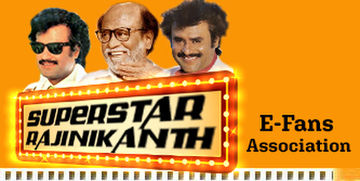 Rajini did a break dance for the song "Unnaithaan Nitham" and it was well appreciated by the fans and public. Kovai - Kaveri (100 days) and Raagam (60 days) and 160 days in total. At Madurai, Mappillai is the first film to run 100 days at Ambika Theater and they showed "Unaithaan Nitham" song twice for all shows until 100 days. Even though Mappillai managed to run 198 days, Superstar proposed to celebratethe 100th day function somewhere near its 120th day. The producer wanted to make it as a bigger bash function, however superstar rejected the proposal and requested for simple ceremony one by just inviting the Mappillai team personalilties, who were honored on the stage together with their spouses. Fans can share your experience watching Thalaivar's Mappillai film together with boxoffice information at your place.